Consumer Photo Labs vs. Pro Photo Lab – SHOCKING RESULTS! Okay, I am totally cracking up about this comparison of a pro photo lab and several consumer photo labs. If you think you know what you’re going to see here, please believe me that you will be shocked! Shocked, I tell you! I mean, I literally laughed out loud and am still giggling about the results even several days later! So read the ENTIRE post… you won’t regret it. Promise! Lots of photographers have done these comparisons in the past, but I’ve always wondered if they really sent a different photo to the consumer lab or something to skew the results. The only way to know for sure was to do it myself. This is totally unscientific, but I swear to you that I sent the same photo to all four labs, with the exception only of printing the consumer lab names onto the front of the photo (otherwise, I would totally have mixed them up later). So you’ll just have to trust me, or try it yourself, like I did! 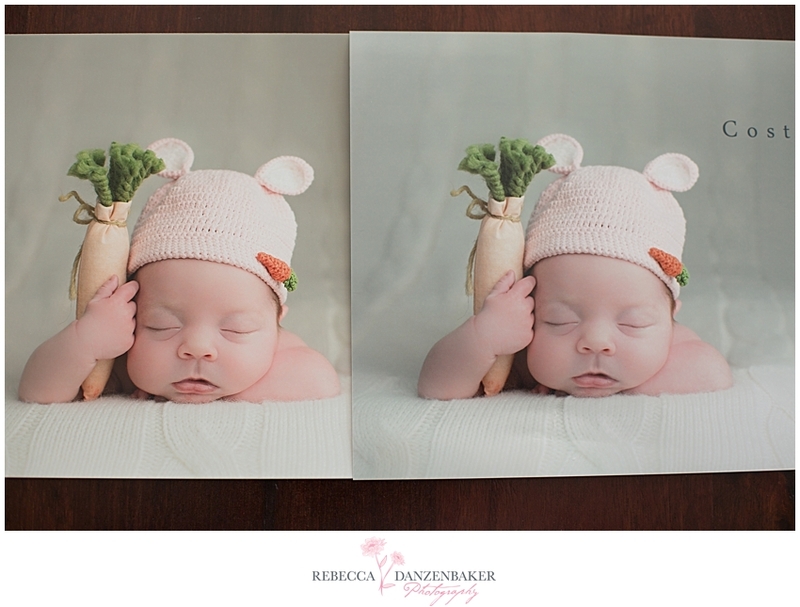 I set out by picking a super cute photo of Little Miss L here and sending it off to my favorite pro lab, Miller’s, for printing. Here’s a photo of the print I received back. Cute!! It’s sharply in focus, and it makes me happy! 🙂 I had the print mounted on art board just as I do for my clients. See, here’s me in an awkward photo holding it with my one (giant-like) hand, and it’s not bending. Mounted photos are awesome! The first consumer lab I chose was Target because I am in Target about every other day and figured it would be super easy to order it and pick it up. And it was! Well, there wasn’t anyone actually in the photo lab when I got there, but hanging out with two kids by a photo counter while they are yelling, “Hello?! Where are you photo person? !” is really fun and not at all embarrassing. I opened the photo envelope when I got home. At first I was kind of disappointed because it didn’t look that bad, and I was hoping for crazy dramatic results like I’ve seen other photographers post, but then I put the professional print up next to it and was actually quite amazed by the difference. Additionally, the whole photo has lost some of the contrast and looks a little more flat (lack of depth). I was about to go to press with this blog post, but my husband and I joined Costco a couple of weekends ago, so I decided to try out their photo lab as well. Again I was with my two kids when I was picking up the prints. Shopping simultaneously with my two young children is akin to ripping out my fingernails, so I try to get in and out as quickly as possible. I came home, started making the kids dinner, and opened this envelope (yes, I need to show you proof that my name was on the envelope… you’ll see why). I did a double-take. I checked the envelope label again… yes, that’s my name on it. But what was inside was not a print of my lovely Miss L.
Yes, ladies and gentlemen, those are our lovely Redskins cheerleaders!!! 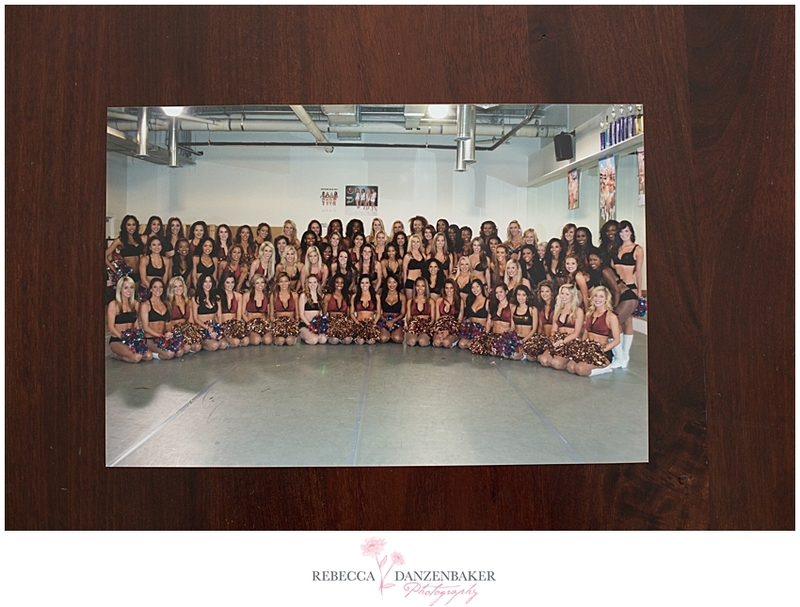 I want to make it clear that I did not take the photo above, nor have I had the pleasure of meeting any of the Redskins Cheerleaders in my life!!!! (If you know who did take this photo, please let me know, as I would love to give them credit for their work.) 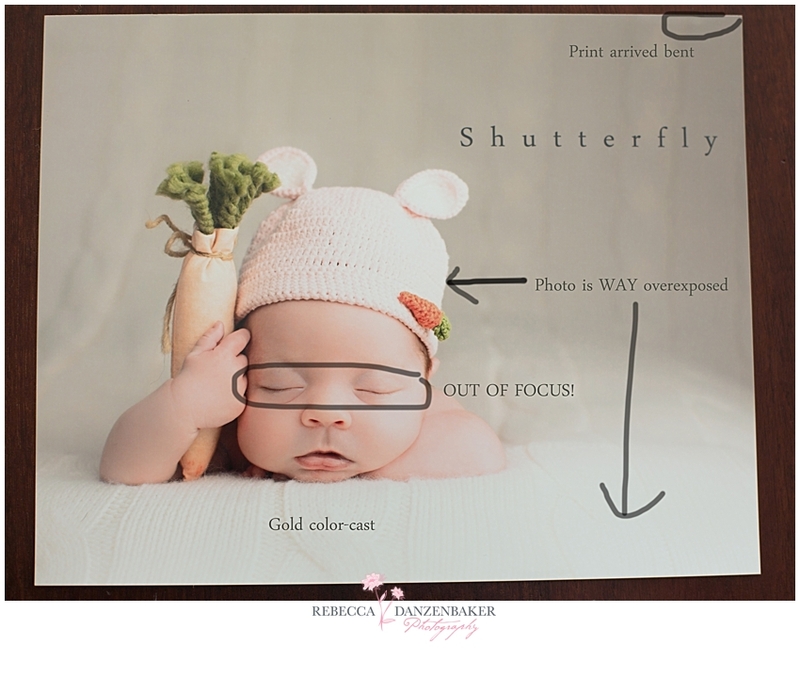 But I’m totally cracking up thinking about the poor soul who opened their envelope, hoping to admire a full sweep of beautiful hotties and instead got a print of a baby holding a carrot!! CRACK ME UP!! Oh my goodness, I’m totally crying while writing this. So moral of the blog is… if you invest a lot of money getting gorgeous professional photos taken of your baby, you can either follow through on that investment and get some lovely prints to go along with them…or you could end up with a photo of Redskins Cheerleaders (which might not be a bad thing, depending on who you are! 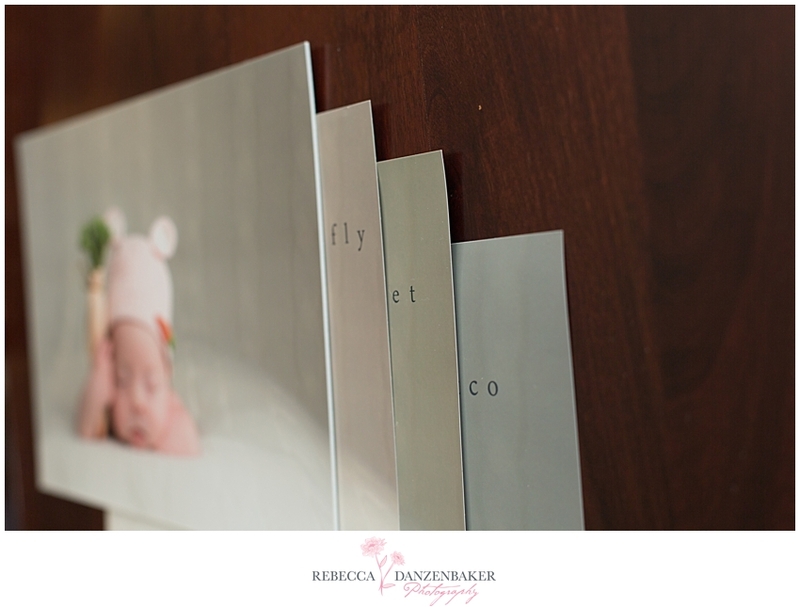 ), or prints that do not do justice to what your photographer captured for you! Hey, while you’re here, please take a moment to follow my blog by entering your email address in that box to the right down there, and stop by my Facebook page to Like me! UPDATE: Due to several quality issues this year particularly related to their press products, I no longer use or endorse Miller’s Lab and their products. I’m currently using Simply Color Lab, ProDPI and UniAlbums as my go-to vendors. Oh my gosh! That is HILARIOUS!!! i too had pics done at sams club (similar to costco) (they were supposed to be pics of my family on vacation), instead when i opened my envelope with my kids waiting to see the pics i was staring at a woman’s autopsy photos! what in the world is going on? Hi Lisa! I do not use color correction from the labs. I calibrate my monitor and manage the color on my computer. Oh my goodness. Too funny. 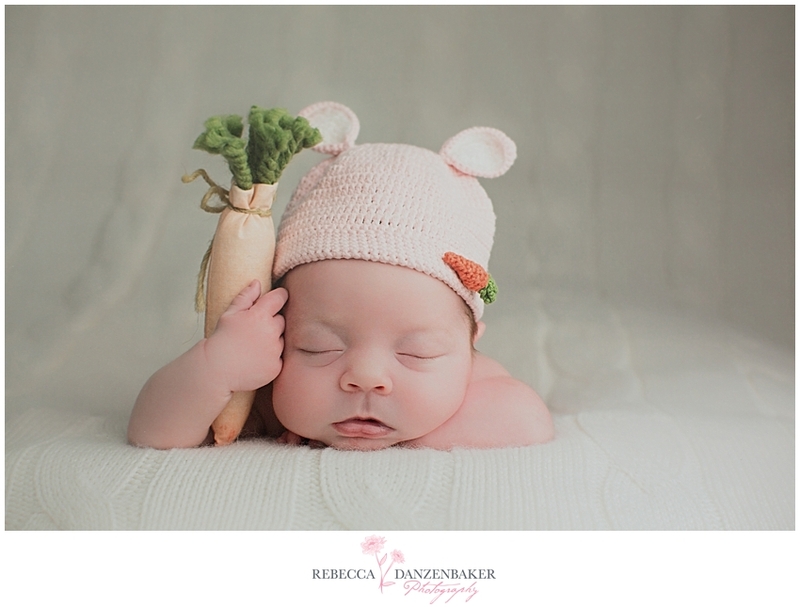 Lovely post, Rebecca, I’m thinking about doing the same experiment here in my hometown. This just cracked me up!!! This is definitely the best print lab comparison I have ever seen! Too funny! Thanks for taking the time to do all this work and share it! Don’t you love it a plan comes together so nicely? 😉 Love it! I think that picture was taken from this year’s cheerleader tryouts. It’s hard to tell because the faces are small, but a good friend’s daughter tried out and I believe she is in the picture. Oh, my goodness! This is hilarious! So funny!! I would love to see a comparison of the same images from the other big hitters such as ProDPI and WHCC. It really is amazing just how bad the “economy” print services can make our images look so bad. All the time in the word can be spend in post production and then none of that matters if your images are ever printed somewhere such at Walgreen’s or Costco. Keep them coming!! Thanks for the doing experiment and adding so much humor into it. I was just wondering if you profiled the prints for the consumer labs? I know Costco has custom printing profiles but I’m not sure about the others. Hi Cristinesara! Thanks! I did not select profiles. When I saw an option to color-correct or auto-correct, I made sure to not select it. I wanted to submit them for printing as any client would who had purchased the digital images from me and was trying to find a lab to print them. While I agree with 99 percent of what you are saying, your photo of the Costco envelope shows you stayed with the default of Auto Correct “Yes”. I’ve found Costco to be a very reliable lab to send clients to IF they select NOT to color correct at checkout. Great post!!!! Loved reading about your results! I am in NOVA, we should meet up! Also, I have seen this shared all over the place today!! 🙂 Congrats on a great post! Looks like almost the exact same type of results I got a couple years ago when I experimented with finding a pro lab & was curious to see what the commercial labs would give me (should have saved those ugly commercial prints to show clients!) HILARIOUS! Thanks for posting this! I did the same thing and was blown away by the differences. I even made Target re-print since it looked so yellow and Walgreens was super dark. Thanks! My son has been driving me crazy all day and this made my day. 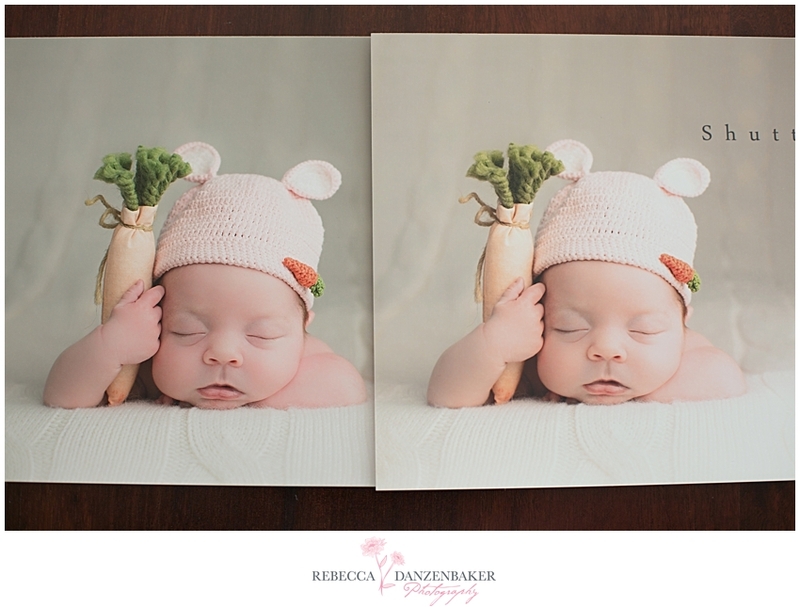 This is why I’m a print photographer. After seeing this, I think I’ll have to do my own experiment so that I can show my clients the difference and why I don’t just give digital files away. I see your point, but photos our expensive…better to have something than nothing. I went through that extremely tight budget thing with one of my children when there was no real alternative and guess what I got…nothing. So even though you do make a valid point it is I’m sure a point for those that can afford to have an option rather than the parents that can not but would still like a picture to record their memories. Very similar. It’s the same with any color comparison. None of them look really horrible…besides that green spot that was there. Toning differences are hard to spot for the average viewer. Many people do in fact prefer a warmer portrait. Also, work has go into making sure it wasn’t overexposed, though I don’t know how much that’d be noticed. Once again, it’s somewhat subjective. I’m the last person who will argue for choosing a retail store lab over a pro lab, but as I said, honestly not a huge difference unless viewed side by side. Somebody mentioned Walgreens and I have infact had bad experiences there. I know stores will have their own default effects and processing, but Walgreens really adds a ton of contrast and saturation. I understand your point, and as a photographer myself I sometimes even print my own photos from home and frame them (just smaller sizes) and my printer is not great at all.. but I would suggest going with Mpix over Walmart or any other chain. They use professional paper and honestly, they are not more expensive. For basic prints, maybe (although they do offer 4×6’s for a very reasonable fee if you go with un-color-corrected (which is fine).. they are actually cheaper than most big box chain stores on enlargements.. you might pay more for shipping.. but it’s so worth it. here’s the thing, if you’re able to purchase them at cost, say through mpix.com than the cost really isn’t that much different. The quality on the other hand is huge. Again if you spent what it takes to get beautiful shots like this why would you not get prints made from them that are worth the money that you used to have them made to begin with. That’s like buying expensive meat and just throwing it in hamburger helper. That was funny and perfect! It’s so true, people invest time, energy, and money into getting those “digital files” and don’t realize they’re missing out on the best part – access to a professional lab with perfect portraits!!! What is the name of the lab you use to print? 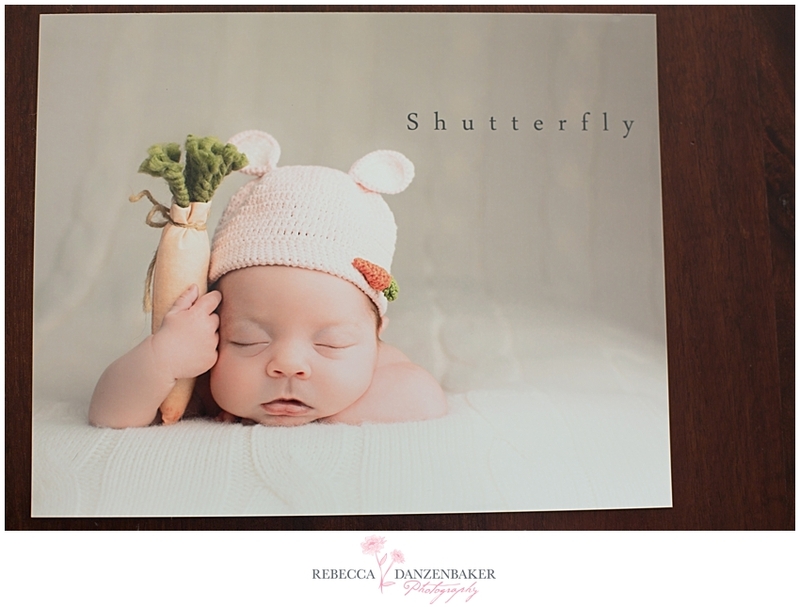 I’ve been telling my clients to use shutterfly 😦 yikes! I actually am in the process of switching labs after Miller’s messed up a few orders of mine this year. Currently using Whcc the most. Great to see and I will definitely share this with my clients! Thanks for sharing. I’m new to photography and this was very instructional. I also agree with the statement, why pay a good price for pro photos just to get them printed at Walmart,Target,Walgreens,Cosco…ect.? 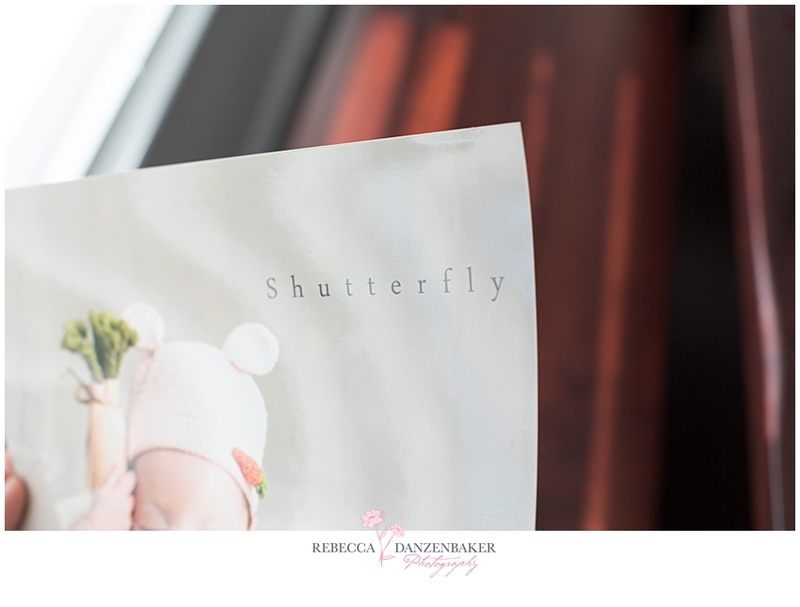 I use to use Shutterfly until I started noticing that they weren’t the correct color, contrast wasn’t correct & the clarity was not good. I decided to try mpix & everything that I’ve ever ordered from them came back gorgeous! So true to the original image. To those who feel like they can’t afford pro labs…mpix.com is very reasonable & their work is beautiful! Great job! Thanks so much!! The redskins…which is fitting, maybe they confused the red baby with the red girls??? I was told at Costco that you can get their color space to calibrate your monitor. Just ask your local costco which drycreek profile their printer uses. idea to first experiment with sRGB as the other poster suggested. Thanks for the photo comparison. I agree that if I could get the best quality photo I would order from a professional lab if I had the money to have my children’s photos done by them. I would love to see the difference in prices to have them done as well as wait time to get them. I know that you can order some pictures from Walmart/Target assuming the same then for other local chains as well the same day or within 24-48 hours where as you may order them from places like shutterfly and it will take a week plus to get them back. Sometimes time and money are both factors when people are ordering pictures. 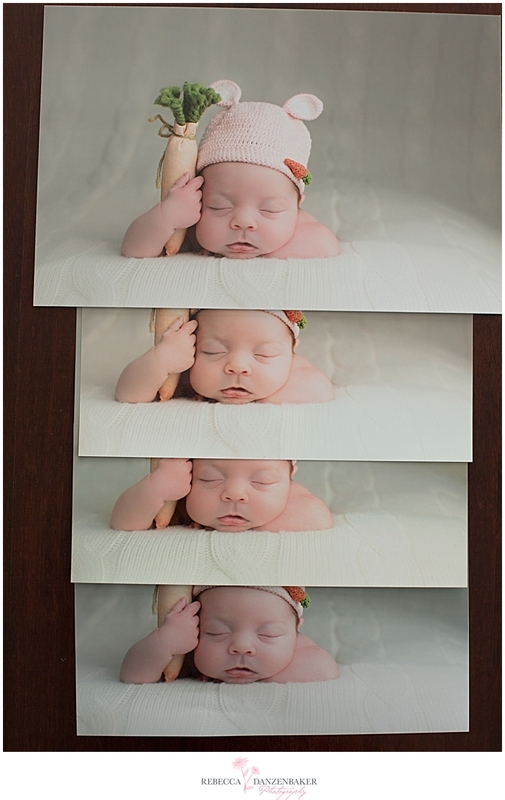 All of the pictures had issues from the professional picture, but when looked at separately they certainly weren’t horrible and I would be happy to be able to look at a beautiful picture of my child no matter where printed. Mpix may print beautifully, but it’s not cheap postage if you live outside of the States. For me, to order from Mpix and have it shipped here is an automatic $30 shipping fee. Add that to the price of the print. 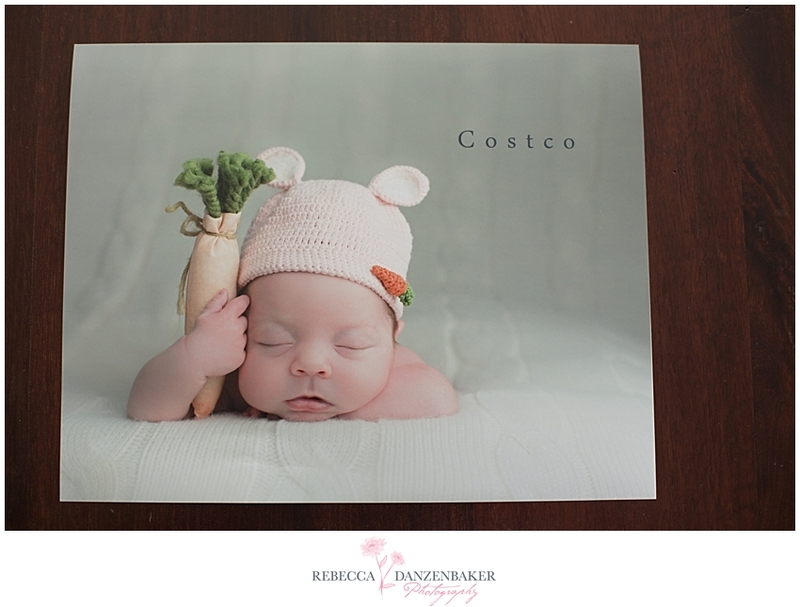 I have had many photos printed from our local Costco and have been very happy with the quality. I guess it depends which individual store you order from, and the knowledge of the staff working there. Similarly, I have had photos printed at London Drugs here in Canada, and was quite happy with the quality there too. Great post – I enjoyed reading it. Thank you. I think I’ll try my own comparison now, with the stores here in my city. 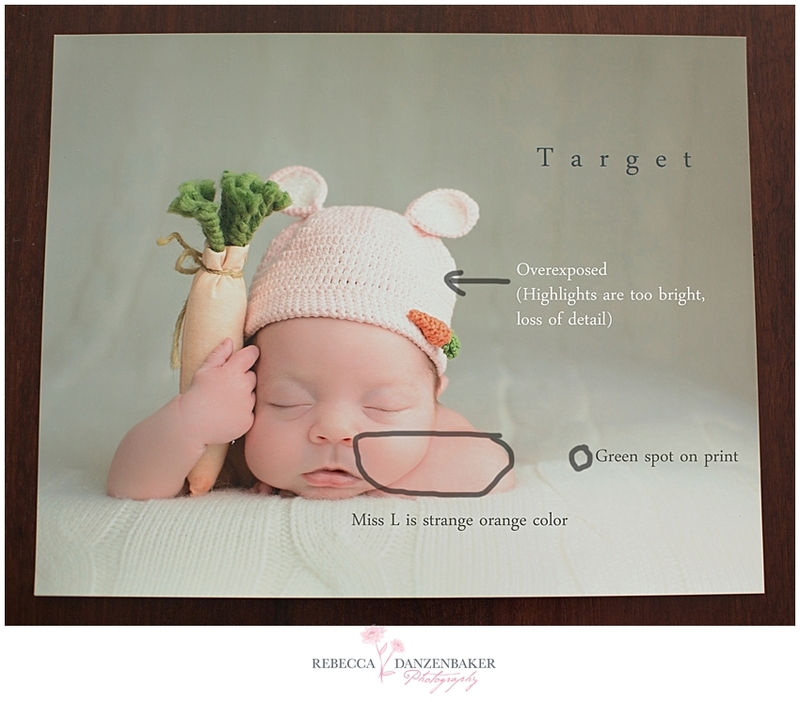 Where is a good inexpensive place to get professional prints of photos an amateur mom has taken. I also have professional ones taken and just purchase them all on cd, so looking for a place to print them and have a canvas made. Thanks! While I haven’t tested them myself, many photographers recommend mpix.com. Thank for sharing the difference with pictures results. Seen that myself too. Question though – when you use Miller’s or Mpix, do you select “color correct”? I’m never sure if I want them messing with the colors or not. My monitor is calibrated and usually I want the prints back EXACTLY as I sent them to them, but if they can make them better, I should let them do it, right? . My friend on Facebook shared your article! Really interesting for when I get professional pics taken! Great post! We let people know that spending a little bit more at a pro lab will pay off in the end, and you have done a great job helping to spread the word. I’m totally just messing with you, btw, lol. That’s wild! Which Costco did you use? I’ve actually had good results with the Leesburg Costco, but it’s been a while since I’ve had anything other than snapshots printed there. I loved your idea with putting the labs’ names on the images. I didn’t think to do that when I was trying out a few of the pro labs for comparison. The Redskins photo is a riot!!!!! Hi! It was the one in Chantilly. I haven’t tried that one. I know that I’ve gotten crappy photos from Sterling, despite having the auto correct turned off. That is pretty funny about the cheerleaders photo. I totally agree with you that people should also invest in some professionally printed photos if they are going to pay for a professional photo shoot. That blog post just gained you an new follower! Thanks for the solid work along with a bit of humor! I used to work at a professional photo lab and YES, you do get what you pay for plus customer service if it isn’t what you want! There are many color readers looking at your prints numerous times. I’m curious as to the price difference between each photography lab. you obviously get what you pay for! Great blog! i too had a strange experience when picking up pics)(from sams club of my family’s vacation. As i was opening my envelope with my kids i got the shock of my life, instead of MY vacation pics i was staring at some woman’s autopsy photo. what the #!@? I would love to use any of those listed but I cant use whitehouse as a non professional. They want me to calibrate stuff and do things I don’t know how to do? What do you suggest I do with my cd of pictures. Maybe try Nations Photo lab? I just recently signed up with their lab to check them out and noticed they didn’t require my business tax ID to register. Great post, I use WHCC as well. Checking out Simply Color now because of your post. Also when you find a new Album Vendor can you share or can we be put on a list. Thanks! Oh my goodness! what a great laugh! thank you for posting and for the commentary! I had to share! It’s very shocking, too much difference. I think it’s because consumer photo labs are offering less feature. Compared to Pro Photo lab, they are offering a good-looking result. The conclusion is professionals work is really different with beginners work. I loved this tutorial. Your explanations were simple to understand and your examples perfect. I never realized the difference was so profound and I plan on reading more of your post. You can also online print your photos with http://www.artifesto.cn/en/ because Artifesto art print is a leading professional photo lab that turns your photography into beautiful art print decoration. http://www.artifesto.cn offers the highest quality professional prints online in a very short time. thanks for share this with us !! This is very interesting and helpful.Thanks for sharingwith us …photo printing services . Exactly why I insist on selling prints to my clients. So hard and so sad to sell digitals and an unfinished art. you had me ROLLING at this! Here is my situation: I am a military spouse and I market myself to military families mostly. To be able to provide a super affordable experience for them, it is essential that I just give them the digital copies and let them print where they see fit. So my question is… if you HAD to recommend a specific “online” printer, who would it be? Now that I have seen this, I do think that it is a good idea for me to find a great local printer who produces superb quality images that I can order through and offer that service to my clients, but because we are all military I know how hard it is to find it in the budget to have photos taken in the first place, let alone to pay for prints. But having that service available to them I am sure would be an excellent decision. Any input is appreciated! Thanks so much! Any experience with PRODPI or MPIX? What is your opinion of those? Hi elizabeth! Yes, I use prodpi for my press products. 🙂 I’m now using simply color lab for my prints. Hilarious! Glad I found this comparison. Can’t wait to try this out for myself. I’ve been meaning to for a while now! I send certain things out to my prolabs, some in state and some out of state. However, I sneak costco in there all the time. I have generally a good experience there. If you get to know the person in charge of the lab, it really helps. Fine portraits, send to Prolabs, reception shots after the wedding COSTCO 9 CENTS A PRINT, NEED I SAY MORE. Please keep posting. 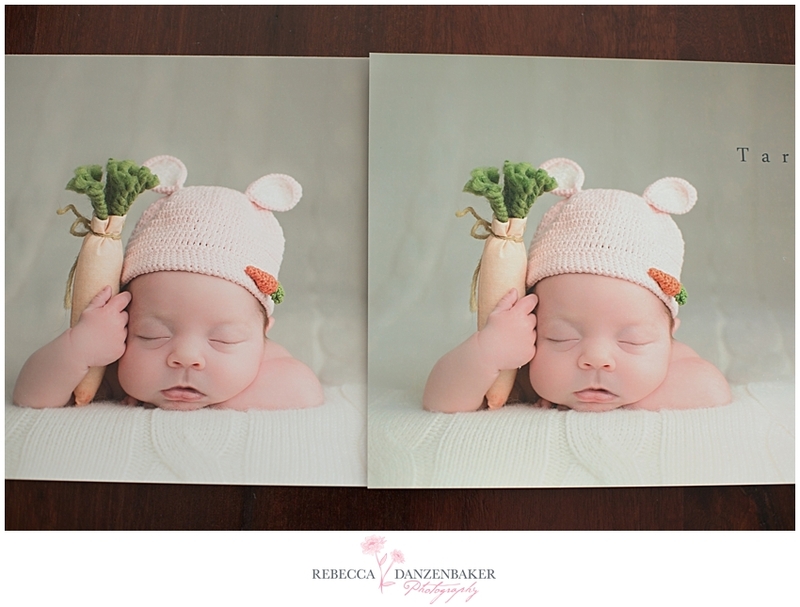 In my experience, getting to know the people who process your prints is likely the most important ingredient in the entire recipe. Obviously that doesn’t work when you’re ordering from another city or state (or country! ), but it can make a difference if you want to use the same shop in your community. 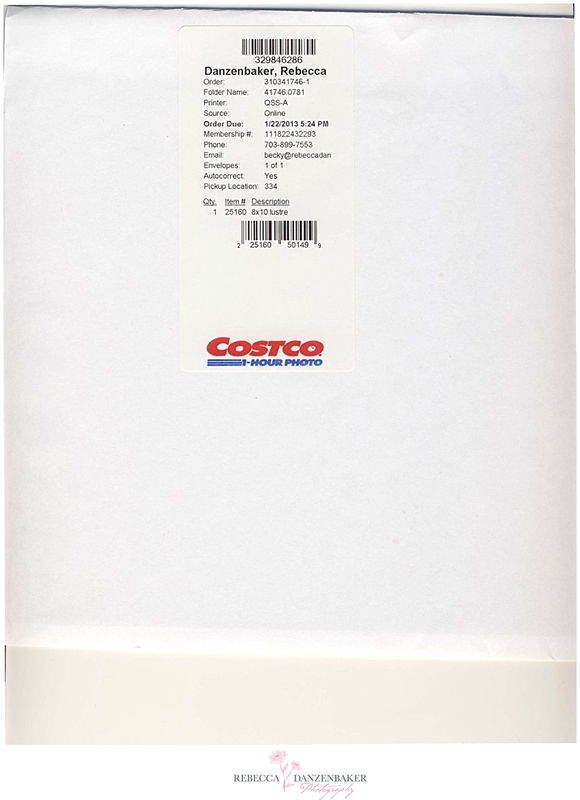 I’ve been using Costco in Kitchener, Ontario since it opened over 20 years ago. I used to take 10 or 20 rolls of film in at a time and have prints back in an hour. There have been some challenges along the way, but they are my go-to lab, and I’ve never had a complaint from a client. Over the last ten years or so, I have used the Dry Creek profiling process for Fuji Frontier/Noritsu prints up to 12×18, and the Epson sRGB profiles for inkjet prints up to 24×36, and always clear the Auto Correct checkbox. 99 times out of 100, I get top quality prints, and that one percent? No worries. If they happen to pick it up on it, they just print it again, and if not, they’ll usually do it while I wait. Many of the folks have been there a long time, some for over 20 years. They take pride in their work, and sharing a bit of kindness and positive comments with them goes a long way. I’m sure that applies everywhere. This was so helpful. Thanks so much for sharing. Saving this as a most excellent reference. Rebecca, thanks so much for going to the trouble of doing this. I was about to do the same experiment . I started with Costco, and my images were dark and cropped .I too edit my own photos, I shoot mostly scenery , such as sunsets over water etc. I can’t afford to print high end but I can’t tolerate inferior processing. I was hoping to be able to just pick up my photos so that I wouldn’t have to pay for shipping. I guess that Snap fish is just as bad as the rest of them. I will check into the Co. that you recommended above. Again, thanks so much , Annie. Am interested in what comes out when you send a scanned picture of the cheerleaders back to them for print……..
Really great article and you have a new fan on your hands! I have a question…I am a novice. How do you “color calibrate a monitor? I am using a 13” MacBook pro. I just had photos done at Costco and was not happy with them. I thought there might be something wrong with my monitor that I wasn’t seeing properly what the photo is really like. So I had the same photos done at Sam’s Club. Totally different. Whereas the Costco was somewhat blurry and lacking contrast, the Sam’s Club was too contrasting and faces were MUCH darker. Sheesh! Sigh… Thank you for your very interesting post. Wow, hang on a minute! So, since you no longer endorse Mpix (for some reason which you have not elaborated on), you have recommended Simply Color Lab and ProDPI. Ok, great. I shall check them out, I thought! Give them a bash! But wait, what’s this? Only available for ‘professionals’. ‘PROFESSIONALS’!! Are you kidding me!? How about provide some useful information that normal people can use. I love photography, but I hate the professional side of it. Bunch of self righteous so-and-so’s. One only needs to glance at some of the professional profiles on 500px to realize this. Half of the biographies of the ‘professionals’ are written as the third person, and the other half are complaining about how all the ‘tourists’ are ruining their favorite places to photographs! Bunch of hypocrites. And now for the icing on the cake! ‘Sorry’ mate, you can’t use our printing lab. Its just for ‘professionals’. Well, go shove it then. I’ll use Mpix. I like your blog though. Im just a bit disgruntled at the professional side of photography. You: Hey Becky, just read through your blog and it’s pretty good. Have a few questions, though… Since I’m not a professional photographer myself but care about the way my prints are made, is there a lab that you would recommend? Me: Hey Johnny, yes, I usually recommend my clients have their images printed at Nations Photo Lab. They are a pro lab that markets to professional photographers, but allow anyone to sign up. Most other pro labs require a tax ID number and photography website to use their labs (side note: by obtaining those two items, one does not become a member of the self-righteous so-and-sos club. There are roughly 150,000 professional photographers in America and many of them, like me, are just feeling extreme gratitude every day that they are able to make a living doing something they love to do). I’ve never used Nations myself, but plenty of other pros that I’m friends with do. You: Okay, cool. BTW, would you be willing to share more details on why you no longer endorse Mpix? Me: Hiya. Sure, actually it was Millers that I had a lot of trouble with, which is the pro side of Mpix (I’ve never tried Mpix). Millers messed up several of my orders in one year, which made me look super unprofessional to my clients who had paid a lot of money for the products I sold them. It’s the worst feeling. In one case, Millers switched the delivery address for two orders I placed back-to-back, so my clients received each other’s items. 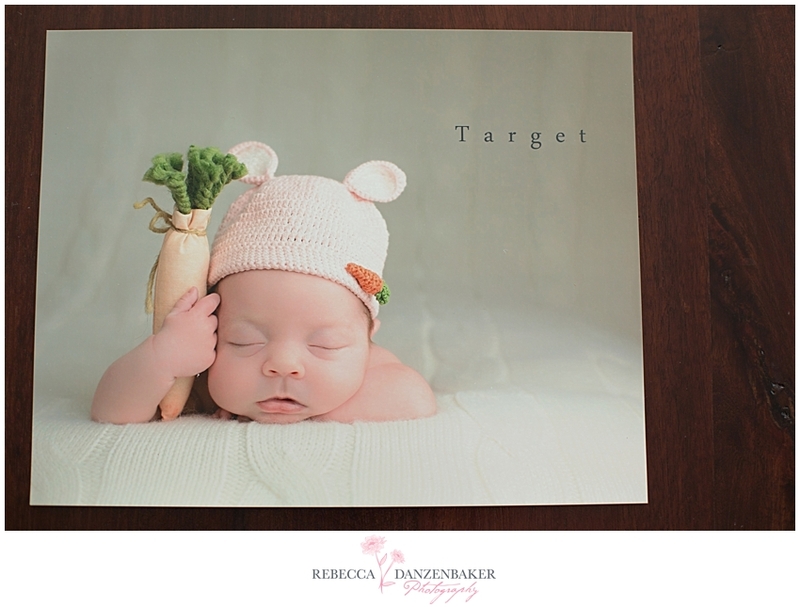 In a separate incident, they shipped a print from another photographer to my client while shipping my client’s album to another family (presumably the family that should have received the print). In a third incident, in an album for my client who has gorgeous blonde hair, she looked like she had yellow hair (banana yellow) in all of her photos. Millers reprinted the album, but it looked the same. When I asked Millers about that, they said it was because I had chosen the matte paper for her album, and I countered that if the paper choice affected the color so dramatically that they should indicate that during checkout. UniAlbums reprinted the album for me (using their matte paper) and her hair looks beautiful again. 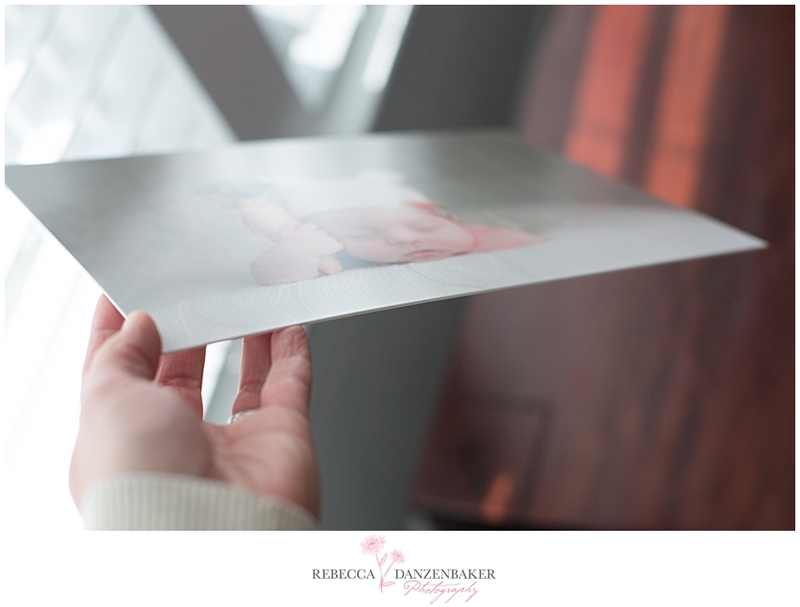 Finally, Millers printed birth announcements for another client, and they came with lines all throughout the cards, as you would have seen if printing on a 1998 ink jet printer. I sent Millers photo of the cards and asked them to mail the reprinted cards to me instead of drop-shipping. However, they shipped the cards to my client, and the reprinted cards had the same issue. That answer was epic, Rebecca! Thanks for the post and the additional information for us non-pros. I love Elcocolor in New Jersey. Great quality and prices. Try http://www.archival-photos.com/ sometime. You’ll be amazed. Not the cheapest, but when you want it done right, they’re the go to company. Great article though. Thanks. Hi Kamra! I don’t mind at all! Thanks for checking! Better paper is definitely a plus for high quality print labs. Also, there’s a better chance your print would be handled with an experienced color technician, rather than a minimum wage button pusher at low budget labs. My guess is that pro labs do a lot of back end adjustments to make photos look their best, while budget lab workers just hand you what ever the printer spits out until a calibration tech comes to make scheduled printer adjustments. *Do you think that you’d get better results if you embed a lab provided color profile into your photo files? I’ve had good results in embedding icc profiles in the print module of Lightroom. Awesome! I’ve been experimenting with Costco icc profiles, provided by Drycreek Photo, and they’ve been pretty accurate. Although, slightly on the contrasty side. I’ve tried Nations Photo Lab with good results too, and I didn’t use their icc profile. They offer professional level color correction, but I got back an odd color shift when I chose color correction. They reprinted some 16×20’s for me at no charge, since I didn’t like their color correction. Nations is offering 40% large prints right now if you might be interested. They’re worth checking out, and endorsed by Tamara Lackey. I have been getting good results calibrating my workflow to my local Costco using ICC profiles. I am getting good results as far as color and contrast. For art pieces, I still print myself using higher quality photo papers that increase the overall dynamic range of the final print. Hahaha… You had me at Redskins! I love that you still did the side by side comparison with the cheerleaders. I couldn’t stop laughing. I currently use WHCC and love them. I haven’t hear of Millers, but I’ll have to look into them as well. Great article! Fabulous post! I print with Miller’s also. This was very informative, and exactly what I suspected. Great to see the test in such detail. Fantastic post. Thank you for sharing. I’m loving that you are comparing so many different vendors that I simply don’t have time to do as I research starting my own photography business and try to hold down my 9-5 without pulling my hair out (LOL). Your diligence and care is greatly appreciated. Also Kudos to the previous commenters for mentioning other pro labs to look into. I love your humor. Keep it up! I know this is an old post, but I really learned a lot, so thank you! You post/blog popped up because I was doing a search to find out why there are such color variations. I ordered senior pictures for a client. She wanted a 4×6, wallets, 5×7 and an 8×10 of the same pose. What I got back in the mail was my photo but all 4 sizes had a huge variation in color! I’m trying to figure out why. The paper? Thanks for your input. Hi Annette! That’s a good question. This is totally a guess on my end, and it would be best to check with your lab on this, but I’m thinking they print the different sizes on different printers, and the printers are not properly color-calibrated. Thanks for this post! I just loaded up my cart with my photographers’ pro lab and thought, ‘Hm, I wonder how this price compares to Costco’s photo center…’ – Costco is way cheaper, of course! (Score, right?) And then I thought, well…let me just see if maybe you get what you pay for…so glad to find this article – definitely going to spring for the good quality product!